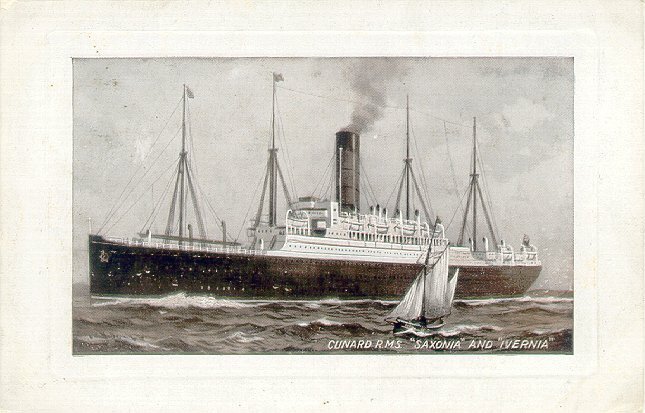 Ivernia, launched in 1899, was built for Cunard by C.S. 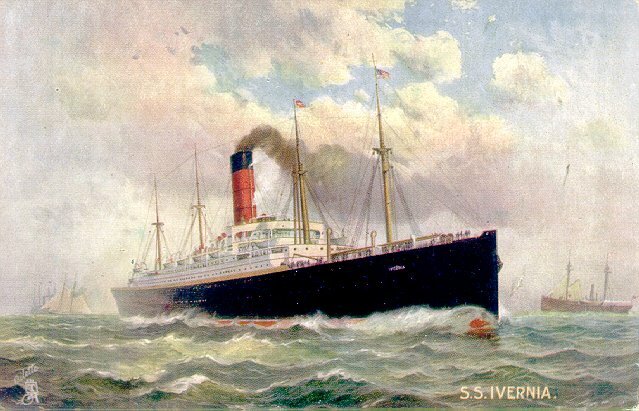 Swan & Hunter of Newcastle, England. 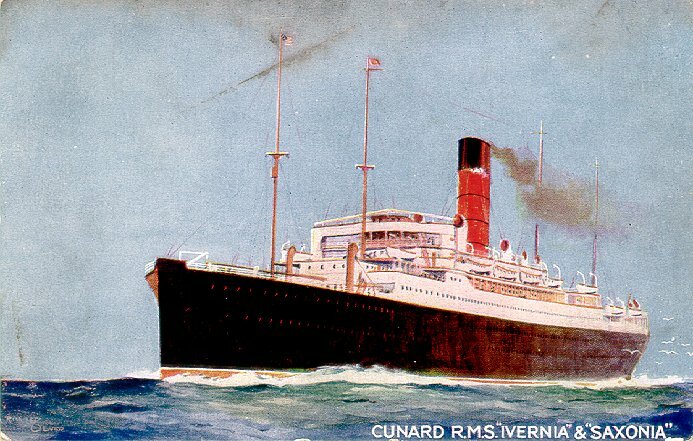 She made her maiden voyage, from Liverpool to New York, on 14 April 1900. 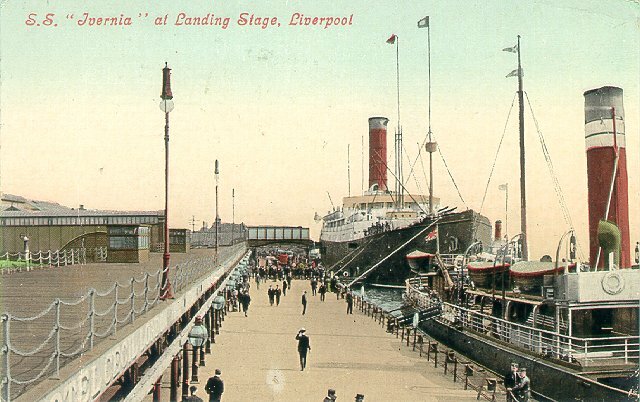 Two months later she was placed on the Liverpool-Boston route for which she was intended, and remained on that route until December 1911. 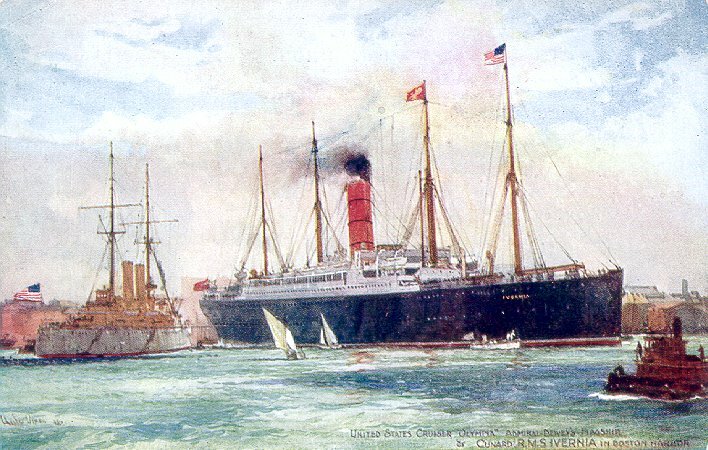 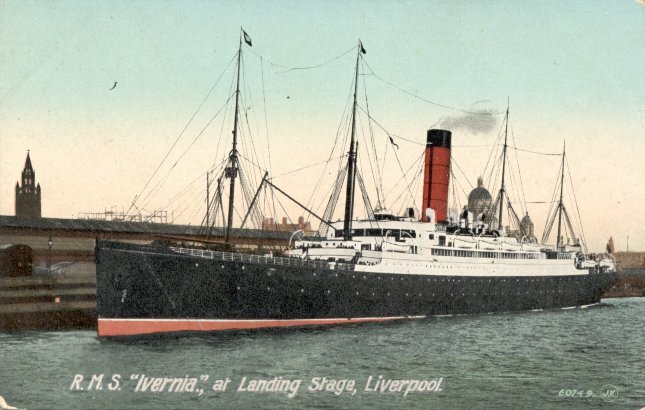 Ivernia was then placed on a Trieste-New York route and remained there until World War I, except for the winter of 1912-13, when she returned to the Boston-Liverpool route. Taken over as a troopship in September 1914, Ivernia was torpedoed and sunk on New Year's Day 1917 by UB-47 off Cape Matapan, Greece, with 2,400 Scottish soldiers on board. 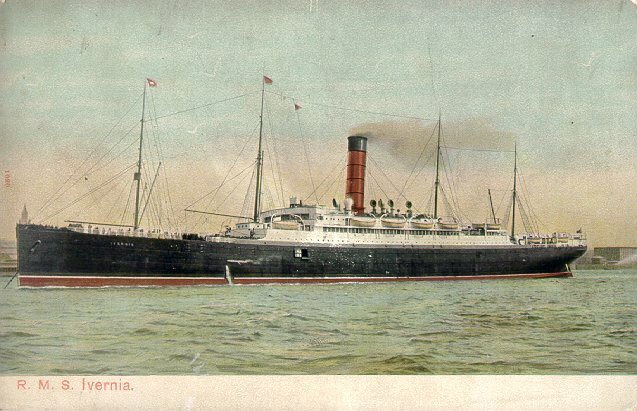 Eighty-five soldiers and 36 crew members were killed. 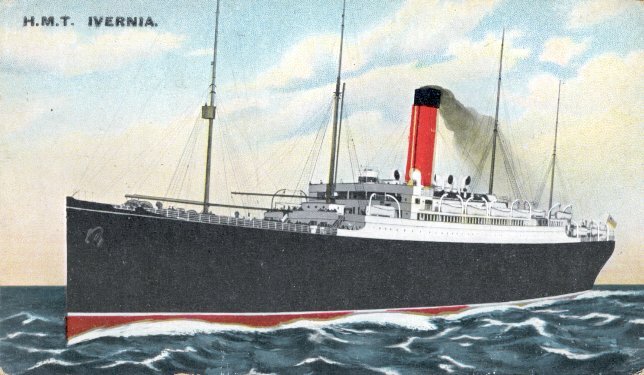 At 106 feet (32.31 m) above the main deck, Ivernia's funnels (and those of her sister, Saxonia) were the tallest single funnels ever installed on an ocean liner. 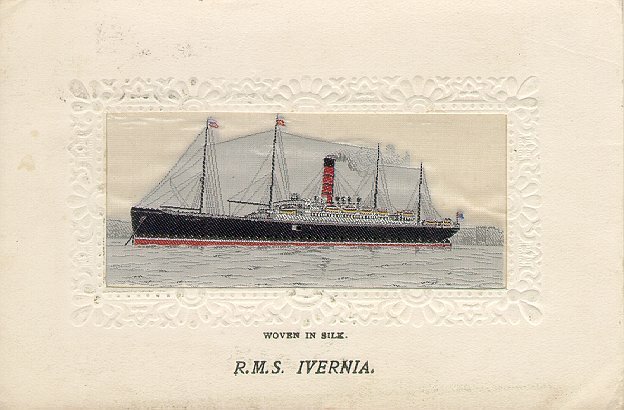 Some of the cards on this page appear to show Ivernia's sister Saxonia. 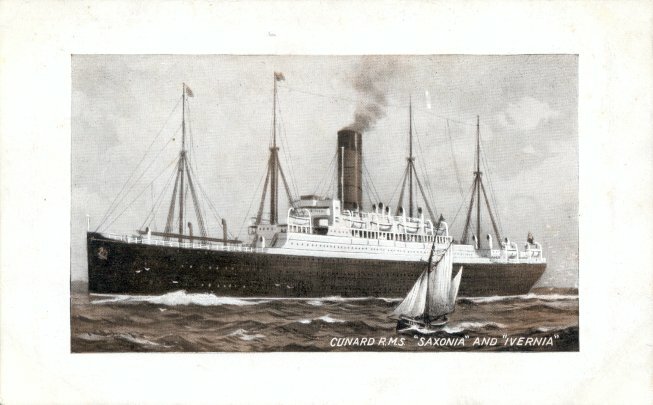 Saxonia had a higher bridge, and forward of the bridge had two high ventilators and different positioning of the lifeboat.